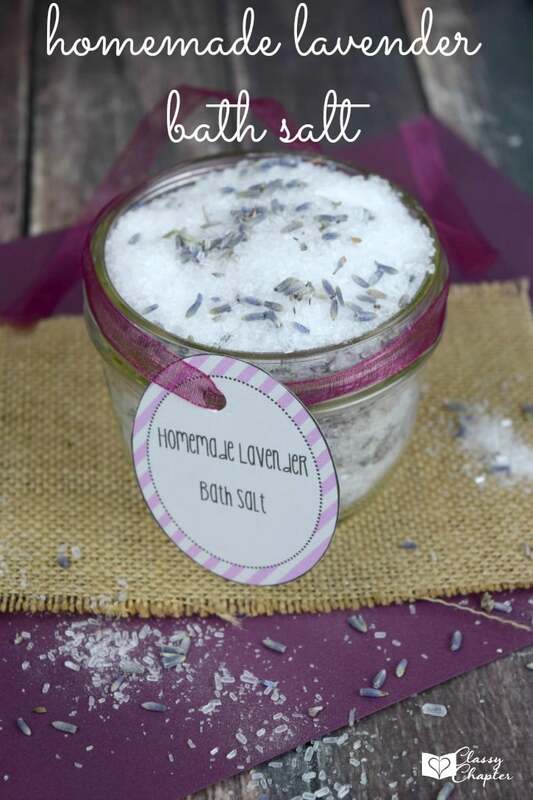 This Homemade Lavender Bath Salt is so easy to make and can be made into an amazing gift for a loved one! Easy DIY crafts are a favorite of mine and this one definitely hits the mark! 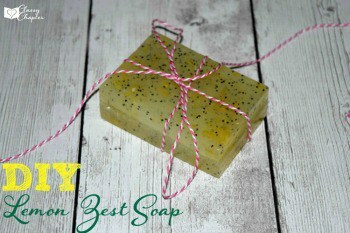 Lavender is one of the most popular scents, it has a very relaxing aroma that just about everyone enjoys. Lavender has also been linked to helping with the treatment of anxiety, insomnia, depression and restlessness. 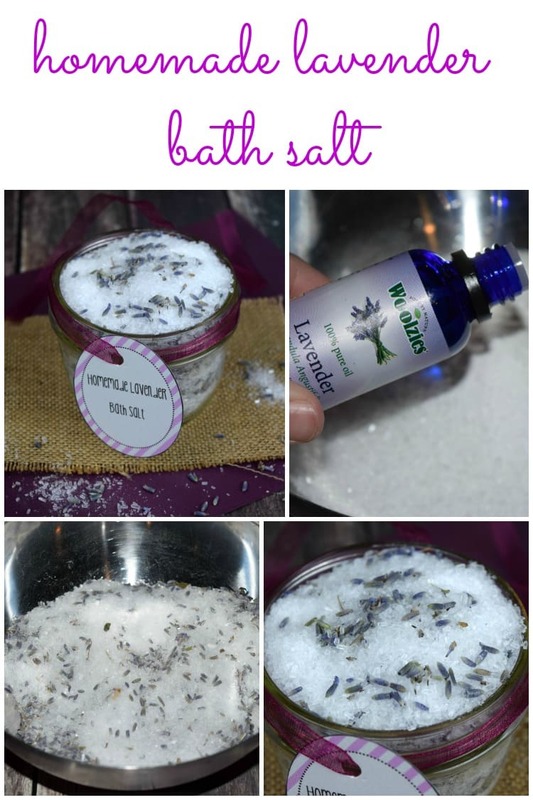 Next time you need to unwind just fill up your bath with warm water and this homemade lavender bath salt. Grab a small mixing bowl and pour in your Epson salt, baking soda and a few drops of your lavender essential oil. Give it a quick stir and pour in your lavender buds and stir until the bath salt and lavender mix well. Spoon your mixture into a mason jar and apply the lid to get fresh for up to 6 months. 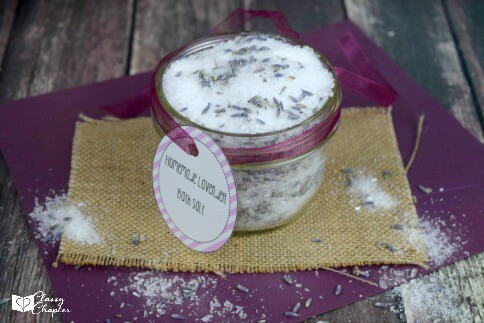 If you’ll be giving these Homemade Lavender Bath Salts away as gifts grab a gorgeous ribbon and tie the top of the mason jar with your printable label included. How easy was this to whip up? Enjoy. For more DIY posts make sure to check out the below! Thanks for the great recipe! I recently received a sample of Lavender EO so I’m excited to try it out and this is a good way to do that! I bet that would be lovely! And such a special treat! Oh this looks nice and easy – I just got started with oils and I’m searching for DIY recipes that will make great gifts for my family this year. I’m adding this to my list!